It’s that time again! Nell Peters is here, and she has produced another corking end of the month round up for us. 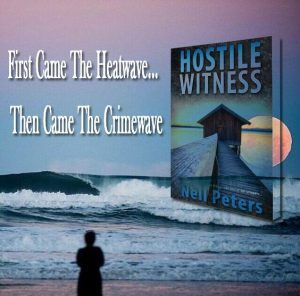 So, pop the kettle on, settle down, and have a read! That cringe-worthy Dame Edna intrusion was unsubtly included so I could link to something that caught my eye, while I was researching 30th April events – ergo, a New Zealand racing driver called Possum Bourne died on this day in 2003, while driving non-competitively. Winging back to Barry Humphries’ alter ego, my late father-in-law was Australian and when he married and settled in London (for about a decade, before the family upped sticks for Johannesburg) his mother, Marjorie, decided to follow (possibly the reason the rest of the family fled the UK for SA) – leaving her second husband to contemplate his navel in Sydney. 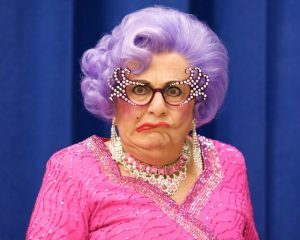 Marjorie was Dame Edna personified – complete with the glasses – and her accent could grate cheese (not to mention nerves) from a distance of several thousand yards. She was a strapping Sheila and mega pretentious – slightly incongruous in someone whose dress ‘style’ was not so much shabby chic, as thrift store reject. The abandoned husband was called Horsfield (the first spouse having expired at an early age, possibly from embarrassment and/or burst eardrums) and predictably the OH and his siblings called their grandmother Gee-Gee, which Marjorie romanticised to Gigi. Most ridiculous of all, ‘Gigi’ used to colour her hair (or mane) the darkest shade of unnatural brown, because she was ludicrously vain and lied outrageously about her age. Actually, she lied outrageously about everything – quite an interesting psych study, if you like that sort of thing. I think I’ll stick with serial killers. Gigi was in her seventies when I first knew her and her face was deeply lined and wrinkled, presumably from the Australian sun, so that she looked every minute of that – and beyond. Not even the most gullible myopic would have been fooled by that OTT home dye job, but her egocentric nature would never let her contemplate as much. 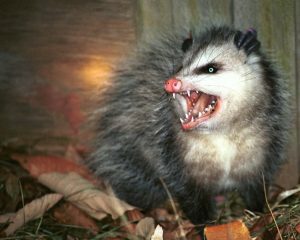 Enough of the loony in-laws – though I do have enough material for several books, so watch this space. To be fair, however (and to the best of my knowledge) none of them have ever been banged up for murder – unlike actor Leslie Grantham, of Dirty Den/EastEnders fame, who celebrates his seventieth birthday today. 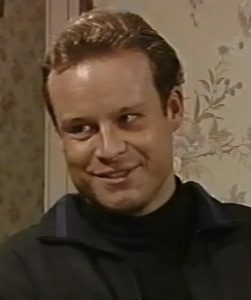 It was while he was serving a ten stretch in Leyhill Prison, that Grantham became interested in acting as a career, after appearing in several inmate plays. On release, he studied at the Webber Douglas Academy of Dramatic Art – my ex brother-in-law went there too, but not at the same time. 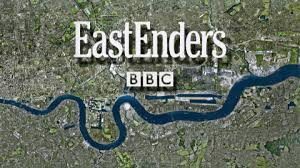 (The ex-b also appeared in EastEnders briefly – as a barman, plus he was footballer Wayne Farrell in Corrie. I’ve played footie with him in the garden and he’s rubbish! He’s perhaps best known as the biker in 2.4 Children.) I’ve only ever seen EE twice – Christmas specials when one of the daughters-in-law was staying and insisted that everything stopped so that she could watch the box. Cheeky! As I remember, it was guaranteed that a character or two met a grisly end, which doesn’t truly embrace the Christmas spirit. Sharing the birthday are Merrill Osmond (1953) – yes, one of those Osmonds, New Zealand film director Jane Campion (1954) and Canadian actor, Paul Gross (1959), who played RCMP Benton Fraser in Due South. On the very same day, Stephen Harper was born in Toronto – he grew up to be the twenty-second Canadian Prime Minister from 2006-15. 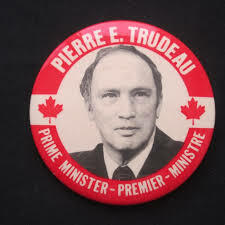 When I lived in Montreal, Pierre Trudeau was PM – now it’s his son, Justin. Good grief, I’m ancient! Talking of leaders – OK, dictator in this case – Adolf Hitler picked this day to commit suicide by gunshot in 1945, ten days after his fifty-sixth birthday and shortly before Germany’s unconditional surrender in WWII. 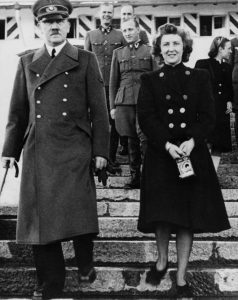 His new wife, Eva Braun also committed hara-kiri by munching a cyanide capsule – I wonder if she had a choice? Quotes from the megalomaniac include, ‘Those who want to live, let them fight, and those who do not want to fight in this world of eternal struggle do not deserve to live.’ Plus, ‘If you tell a big enough lie and tell it frequently enough, it will be believed.’ And finally, ‘He alone, who owns the youth, gains the future.’ All of which are horribly prophetic. 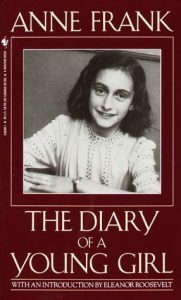 Poignantly, Anne Frank’s diary was published in English on 30th April, 1952, initially entitled The Diary of a Young Girl – an account of a Jewish teenager living in hiding with seven others, all fearing for their lives in occupied Holland. The book first came out in Dutch in 1947, under the title Het Achterhuis (The Secret House) courtesy her father Otto, who survived the concentration camps – but as we know, Anne died before her 16th birthday in 1945, in Bergen-Belsen. 1492 is a year that should ring bells with anyone who has ever opened a history book, and on this particular day, Italian maritime explorer, Christopher Columbus was given permission to equip his fleet of three ships – the Santa Maria, Pinta and Nina – after signing a contract with the Spanish to set sail for the ‘Indies’, in an attempt to find a western route to Asia. Born a Scorpio, (30th October, 1451) and if you believe astrological profiles, CC was a good choice for the voyage of discovery, being passionate, decisive, assertive and determined. If typical of the sign, he should also have been a good leader, who researched until he found the truth. Scorpio is a water sign – just as well, for someone who navigated the oceans blue. En route for the New World, the fleet docked in the Canary Islands before sailing on to island-hop around the Caribbean, discovering all sorts of places that are now exotic holiday destinations, having failed to spot Florida when they changed course. Well, no one is perfect – perhaps the Sat Nav was playing up. 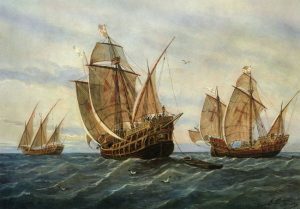 On Christmas Day 1492, the flagship Santa Maria ran aground and sank on Hispaniola – perhaps not the gift from Santa they were hoping for – and on Boxing Day (though it didn’t yet exist and was merely 26th December) Columbus founded the first Spanish settlement in the New World, La Navidad (now Möle-Saint-Nicholas.) 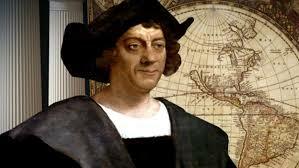 This was the first of his four expeditions to the New World; the last cast off in 1502, four years before he died in Spain, on terra firma. 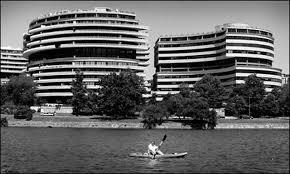 The Watergate Affair (see what I did there?) began in June 1972, when five men were arrested in the early hours, breaking into the Democratic Party’s Watergate headquarters in Washington. They were caught with photographic equipment and bugging devices, and during the following months connections between several of the suspects were made to parts of the Republican power structure. 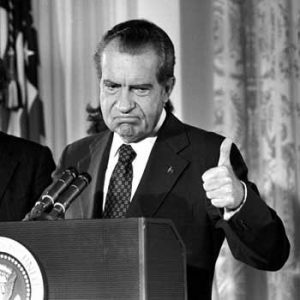 This day in 1973, Richard Milhous Nixon (President, Republican, and aka Tricky Dicky) took full responsibility for the operation but denied any personal involvement. Well he would, wouldn’t he, to slightly paraphrase Mandy Rice Davies of Profumo Affair notoriety. In a speech broadcast to Americans he vowed to get to the bottom of the matter, famously saying: ‘There will be no whitewash at the Whitehouse.’ Nice one, Tricky! There were resignations and sackings galore, culminating in Nixon’s own resignation in August 1974 – which saved him the embarrassment of being impeached. God bless America … Oh, thought I’d just mention here that the Vietnam War ended on 30th April 1975. 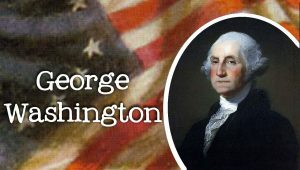 Washington was privately opposed to slavery and introduced The Slave Trade Act of 1794, which restricted American involvement in the Atlantic slave trade – upon his death (Dec 1799), his will made provision for the manumission (freeing) of all his slaves. 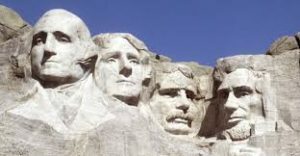 Of countless tributes paid to him, his likeness is one of only four carved in stone at the Mount Rushmore Memorial, and the 554’ iconic Washington Monument obelisk stands in the now-capital, Washington DC near the White House – plus, he remains the only president to have a whole state named after him. I think Donald Trump might struggle to emulate the honour, failing to score even an eponymous hillbilly town, let alone state. Apart from any other consideration, who wants to live somewhere that pays homage to the bodily expulsion of gaseous waste? President Franklin D. Roosevelt (32nd) gave an official address on 30th April 1939 – just four months before WWII began – when two hundred thousand visitors attended the opening of the New York World’s Fair. The speech was not only heard over radio networks, but was also shown as the first ever television broadcast. I hope FDR was wearing his best suit. The theme of exhibits was ironically ‘The World of Tomorrow’ – General Motors went for ‘Futurama’, Philo T. Farnsworth displayed TV sets, AT&T debuted its picture phone, and the IBM pavilion featured electric typewriters, plus a new-fangled machine called the electric calculator, that used punched cards to enter information for a computer to calculate results. 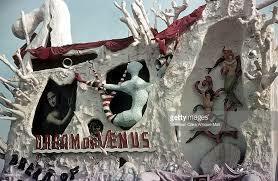 Never the shrinking violet, Salvador Dalí designed a pavilion called Dream of Venus, built by architect Ian Woodner. It had a facade full of protuberances – including crutches, cacti and hedgehogs – very vaguely echoing the Pedrera building by Antoni Gaudí, and the main door was flanked by two pillars representing female legs in stockings, wearing stilettos. Perhaps Damien Hurst isn’t so bizarre … Through openings, visitors could see reproductions of Saint John the Baptist by Leonardo da Vinci and The Birth of Venus by Botticelli, while once inside, they could watch aquatic dance shows in two pools, with sirens and other items designed by Dalí. Believe it or not, organisers had insisted on major modifications to the artist’s original blueprint – the mind boggles. OK, I’ve made quite enough of an exhibition of myself, so with thanks to Jen for having me and readers for dropping by, it’s ‘G’day’ from Gigi and ‘Adios’ from Salvador! Another blogging triumph! Thanks Nell! Fabulous April facts, Anne and Jenny – great post! Gosh! So much happened. Exhausted.